Moving onto the post.. January is a festive month all over India. It marks the beginning of our Harvest season and is celebrated everywhere in our country under different names. 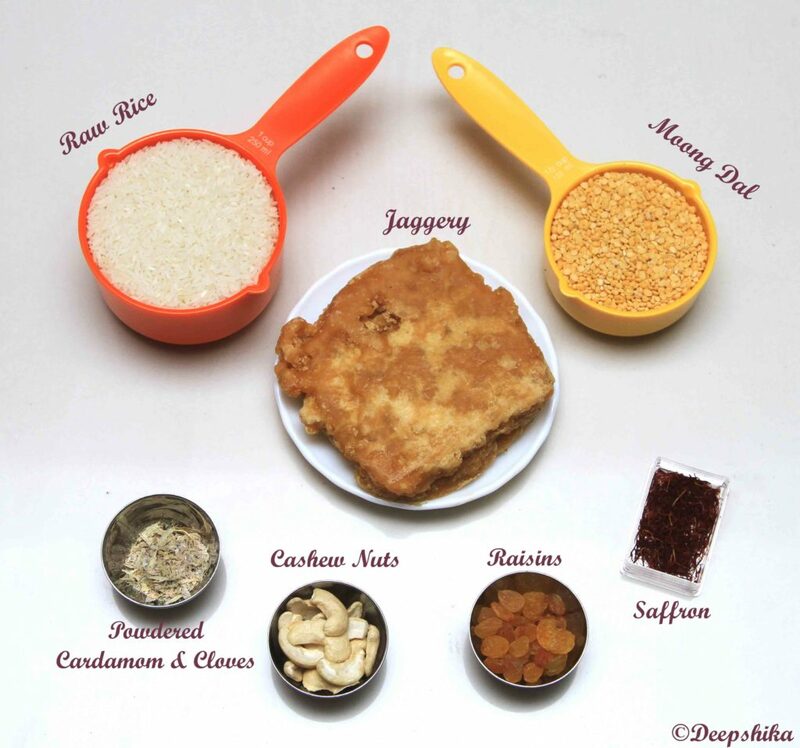 In North India it’s primarily called “Makar Sankranthi”, though the name might change in a few states. Down South, it’s celebrated as Pongal in Tamil Nadu, Makara Sankranthi in Andhra Pradesh and Suggi in Karnataka. To my knowledge Kerala doesn’t have any special festival in the month of Jan, they do however celebrate Onam somewhere in the month of August as their Harvest festival. I am married into a Tamilian family and my in-laws celebrate Pongal with great fervor. Pongal is celebrated on the 1st day of the 10thTamil month known as “Thai” [pronounciation- “th” as in “THink” and “ai” as in the letter “i”, not Thai as in Thailand 😛 ] and marks the beginning of the Harvest season. So the festival holds more significance to farmers. It is usually celebrated for 4 days. The first day is celebrated as Bhogi where people burn their old and unwanted stuff, signifying purification of evil and cleansing their house. The 2nd day is the main Pongal day also known as Surya Pongal or Thai Pongal, where people worship the Sun God for blessing them with a bountiful harvest. 3rd Day is Maatu Pongal– Cows and other cattle are decorated and worshipped. The 4th and final day is Kaanum Pongal– where everyone goes out with their Family for sight-seeing or to carnivals, just to spend time with family. 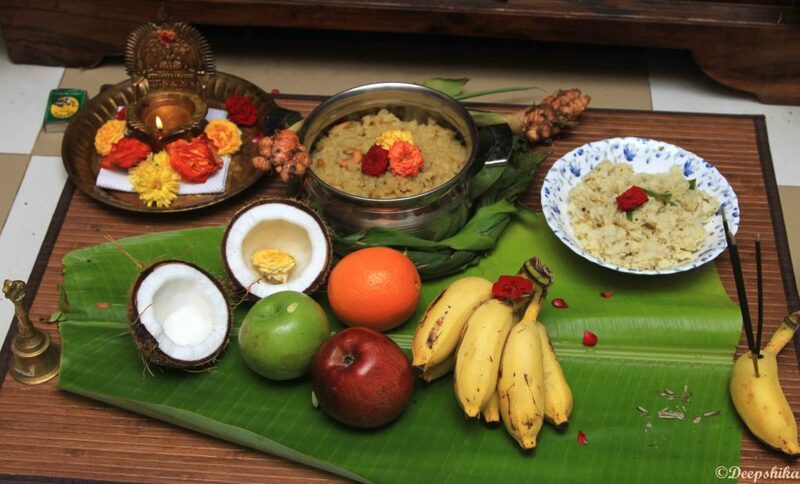 Thai Pongal is one of the most important festivals for Tamilians. They celebrate it by getting together with family, wearing new clothes, jewelry and by having meals together. And what good is a celebration without food? 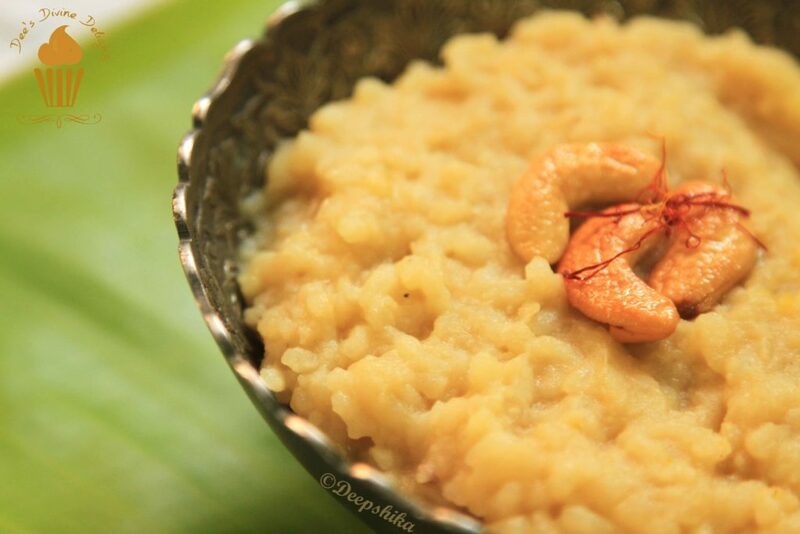 Ven Pongal and Sakkarai Pongal are made in each and every Tamil household on this day. 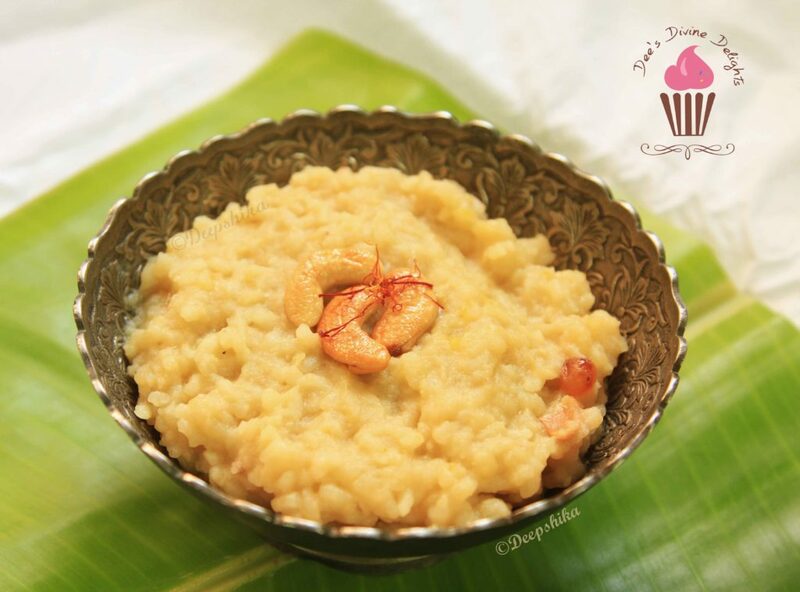 Ven Pongal is the savory version made with dal, pepper and rice whereas; Sakkarai or sweet Pongal is made from dal, rice and Jaggery. Today I’m going to share the recipe for Sweet Pongal which has worked for me every time in the past. My husband absolutely loves this sweet pongal. So here goes the recipe. Dry Roast Moong Dal in a Pressure Pan/Cooker for a couple of minutes. Add washed rice + 3 & a Half Cups of water and pressure cook for 3-4 whistles. Meanwhile take the jaggery in a pan, and add just enough water to immerse it and dissolve the jaggery. Let cool and strain to remove impurities. I used home-made jaggery which has ground badam and other nuts in it, which my Dad got from one of his colleagues in Delhi. So I didn’t strain it. Once the pressure is released in the cooker, open and mash the rice and dal together. Keep it back on the stove in low flame and add the jaggery syrup, powdered cardamom+clove, saffron strands and the edible camphor to the mashed rice+dal and stir well. If you find the mix gettting dry, add ghee or if its too dry, add water or milk. Keep stirring and cook for about 5 mins or until u get the right consistency. In a separate pan, add ghee and fry the cashews and raisins. Add this along with the saffron strands to the pongal and mix well. Thank you so much for the tag and for this meaningful post! Despite giving it to you at such short notice and in the midst of your festivities, you've come up with such a detailed post for which I am indeed grateful! Thank you for setting aside this space on your blog and time for doing this guest post for me and my page! Grateful Deep!